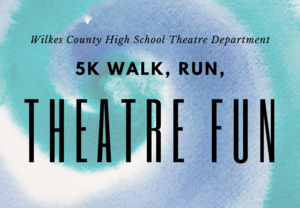 The Wilkes County High School Theatre Department is hosting a 5K Walk, Run, Theatre Fun on Saturday, April 6, 2019 at Wilkes Community College. The 5K will be full of fun as participants of all ages and skills move at their own pace while meeting their favorite characters along the way! Click the article headline above to learn more! Participants are welcome to bring and wear their own costumes to race the course. The cost is $20 for adults and $10 for students. 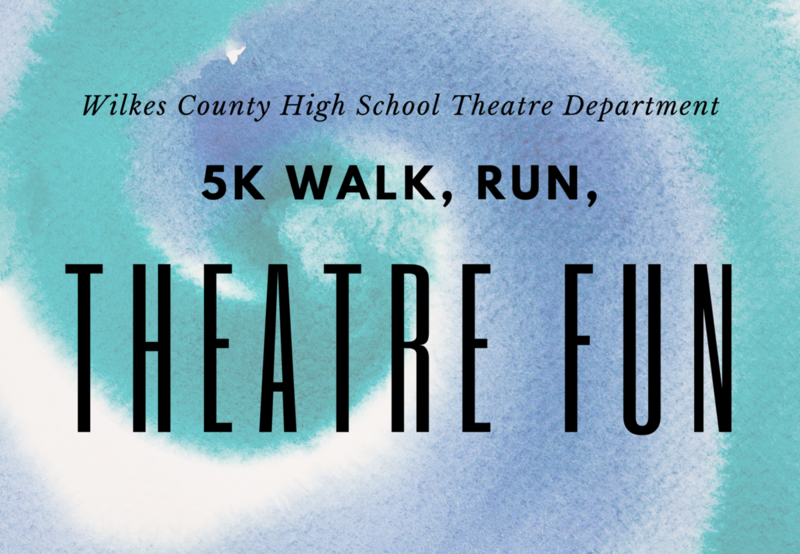 All proceeds will benefit the Wilkes County High School Theatre Department.